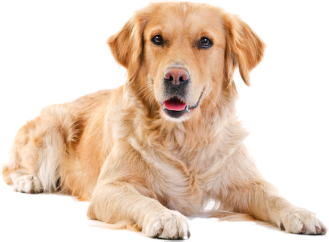 Most of the health concerns listed are not particular to Goldens, most large breeds can suffer from hip and elbow dysplasia etc. It is important to understand that no matter what dog (or cat) you bring into your family it is a lifetime commitment that you need to make. This will include medical costs, even though you could never encounter a debilitating disease or disorder you will need to make sure that your new pet visits the vet for vaccinations and regular check-ups. Please ensure that your pet is micro chipped and that you keep the details up to date. In the event that your pet does get lost or hurt it is the best way to ensure you can be contacted. 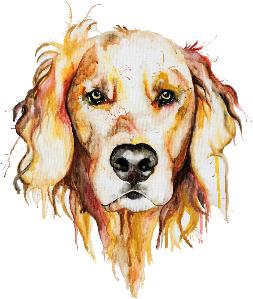 Please visit the Frequently Asked Questions section to learn more about Goldens and what you should know before adopting! They are a boisterous breed who loves to play and could bump into young ones, although the intention would not be to harm their mere size could mean a fall. As with all dogs, interaction between young children and dogs should be supervised at all times. Make sure that the children understand that it is wrong to pull on tails or ears, never to approach a dog who is eating and also to never try and take a toy away from a dog. We should all be responsible when it comes to young children playing and interacting with dogs, educating our children and our dogs will go a long way in preventing unwanted behavior. 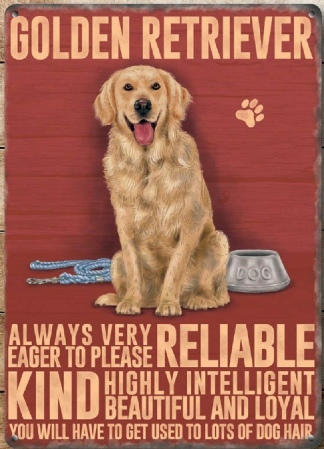 The Golden Retriever is a sturdy, medium-large sized dog. The skull is broad and the muzzle is straight, tapering slightly with a well defined stop. The nose is black or a brownish black. The teeth meet in a scissors bite. The medium to large eyes are dark brown. The relatively short ears hang down close to the cheeks. The tail is thick at the base with feathering along the underside. The water-resistant coat is dense with a firm, straight, or wavy outer coat. There is an untrimmed feathering on the underbelly, back of the legs, front of the neck and underside of the tail. Coat color comes in cream to a rich golden. They must NEVER be shaved!